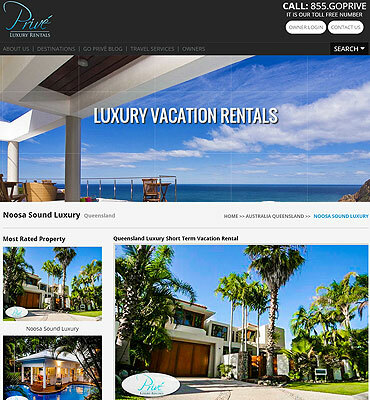 Prive Luxury Rentals bring an outstanding travel solution for the luxurious travelers across the world. They are dedicated to provide outstanding customer services to ensure that their guest will enjoy exclusive luxurious travel experience. They select only world-class properties that bring unparalleled luxury experience for the guests anywhere around the world. Along with this, Prive also allow to book other luxurious services including private jet, luxury car rentals, yacht and boat rentals, private chef, housekeeping and many other services. 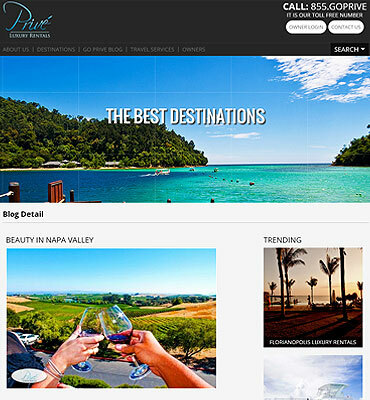 Our client required a travel and vacation rental website which can serve a single access point to book luxurious vacation by choosing different available services. They want dynamic website that allow travelers to rent luxurious properties, car rentals, private jet and other services according to their search preferences. People can search the specific location based on check-in date. We offered profound domain expertise and complete development cycle services to meet prime requirements of the project. 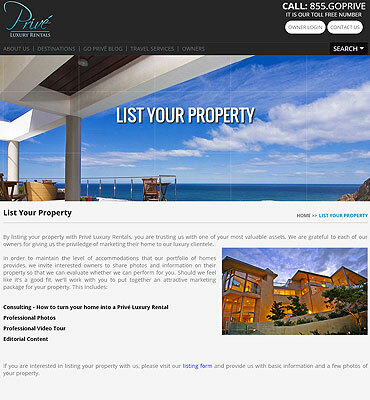 We delivered an interactive website that enables users to search best luxurious property around the world with other services like car rental, jet hire and many more. Our team worked on complete project from its business model creation, detailed specification development solution to implementation and maintenance phase. As the system was going to be loaded with bulk of data so we had to optimize the loading speed as well and for this we have assigned a dedicated team for the execution of this website which will be consistently monitored by the project manager. 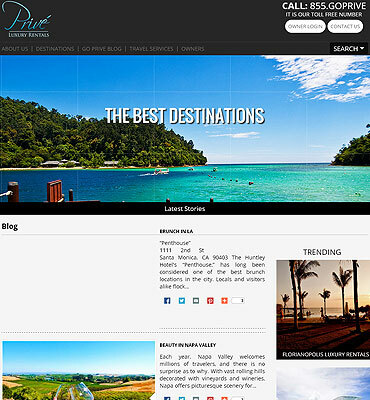 Front-end We developed a robust and user-friendly website equipped with unique features for enhancing travelers and owner's experience. 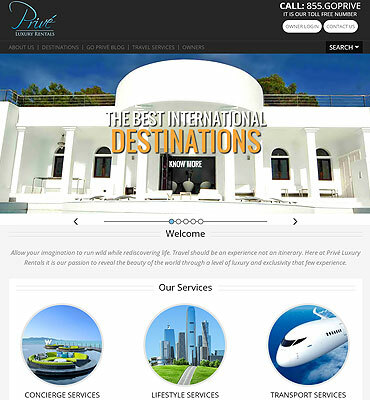 The users can easily book their choice of properties and other services with this functional website and manage their luxurious trip with full confidence. Our design team did their best efforts to carve a unique design which was in line to client expectation. Backend As we known that website had to be scalable so our developers choose an ASP.NET framework and MS SQL server for the project. Our team delivered end-to-end custom services to address all the outlined challenges and enable our client to be stay competitive in their industry. The challenges faced by our technical team for developing dynamic website was design scalability and we have also developed custom CMS to manage various content of the site i.e. Images and other related details. Development Process To understand the full scope of the project, our team conducted a deep business analysis of the project and developed strategies to accomplish them in efficient manner. We have gathered all application requirements and wrote important product specifications for it. We successfully delivered the project within estimated time frame. 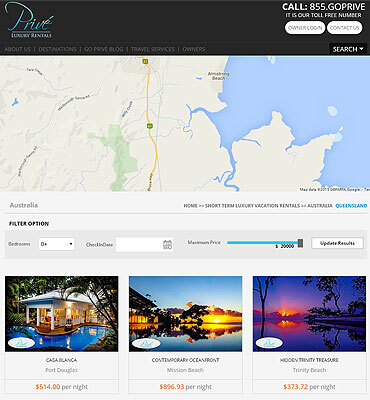 Our client was satisfied with our work due to its high performance and usability factors of website. Improved architecture solution to ensure better customization flexibility, improved performance, and stronger security.